Tiny Home Big Life: The effects of second-hand smoke on children. The effects of second-hand smoke on children. 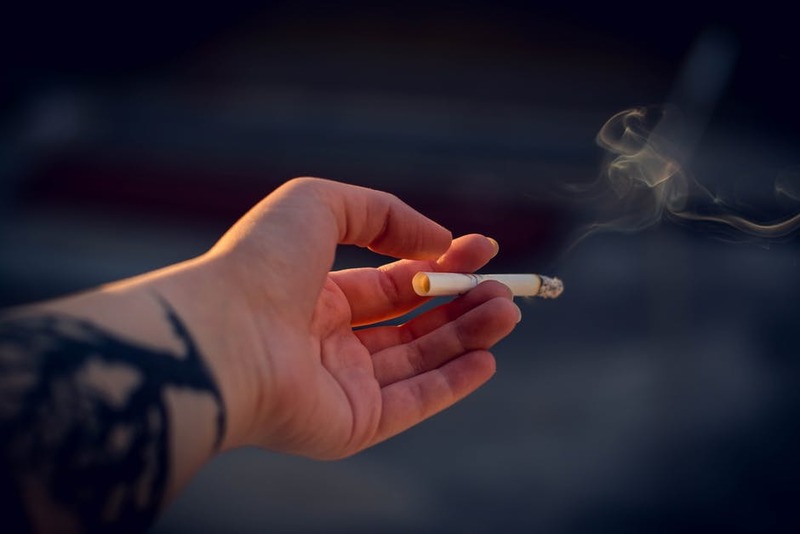 If you are addicted to tobacco and would like to quit, there are ways to accomplish that (read till the end for more info.) If you have no interest in quitting, please at least do not smoke around children. Always step outside of the home or car to smoke. If you are not concerned about your OWN health, I pray that you will at least be concerned about THEIRS. So let's get started, shall we? Second-hand smoke is the combination of the smoke coming from the end of a cigarette as well as the smoke that is breathed out by smokers. There is no risk-free level of exposure to second-hand smoke. Children who are exposed to second-hand smoke are breathing in the exact same harmful chemicals as the smoker himself/herself, just as if they were puffing on it themselves. Studies show that roughly 40% of children are exposed to second-hand smoke. Smoking during pregnancy results in more than 1,000 infant deaths per year. More frequent and severe Asthma Attacks. Increased sickness & decreased well-being. Cognitive impairments- the ability to learn. Again, this post is not to shame you...I simply want to make sure everyone is aware of the dangers of smoking around a child. Knowing "it's bad for them" and actually seeing a list of health issues that it can cause are two totally different things. If you know someone who needs to read this post, please share it with them. If you're currently trying to kick the habit or if you're even CONSIDERING it, shoot me a private message on facebook for a few tips that I've acquired which can help make it a little easier for you. I love you guys and I'll talk to you soon. There are affiliate links on our website. Using these links for your purchases will help enable us to keep this site going, but will not cost you a penny extra. Thank you!!! CLICK THE BANNER ABOVE for your FREE trial! GameFly is the leading online video game rental service in the United States. We deliver the widest selection and availability of games for all the major consoles. Start your FREE trial today!